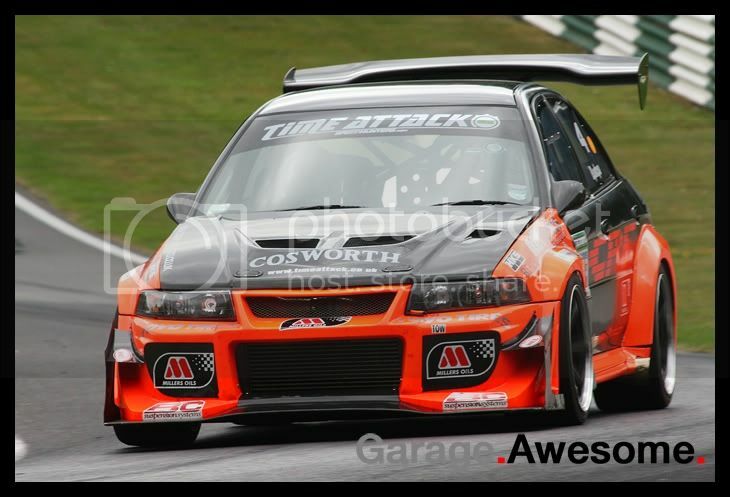 EVENT: Time Attack Round 4 Pro/Club Pro Class – Cadwell Park « Garage.Awesome. Over the next week or so Garage Awesome is going to be bringing you the best of the action from this Sunday’s Modified Live event at Cadwell Park in Lincolnshire. With various different interests and disciplines all being staged at the same venue, we didn’t think just one report would do any of them justice, so we’re going to break it down into a few manageable chunks for you, so you can see in depth what happened in each event! The first post we have focuses on the pinnacle of the event, the Pro and Club Pro class of Time Attack. This series originated at the Tskuba circuit in Japan and has now been exported to the UK and US and is ever growing in popularity and numbers of both spectators and competitors. Cadwell park is a brilliant track; consisting of long fast straights, sweeping bends, off camber sections, a tighter wooded section and even a jump, known as the Mountain! The Pro class had no trouble taking all this in their stride however, although a few of the cars that were really pushing it had some close calls, fortunately everyone kept out of Cadwell’s notoriously unforgiving walls and barriers. The Modified Live series has really allowed Time Attack to develop, running alongside such a show has made the whole event much more mainstream and has given access to a championship that many would not have known or thought about before, and the planning that has been put into the event has allowed the drivers maximum track time as well as variety within a single event. This was round 4 of the series and the crowds had flocked in to watch the seemingly endless sessions of the Time Attack championship. The Pro and Club Pro class managed to get a 20 min warm up and practice session in before lunch, followed by splitting the field of 19 cars into 2 qualifying sessions before 16 cars battled it out in the last action of the day in the final! 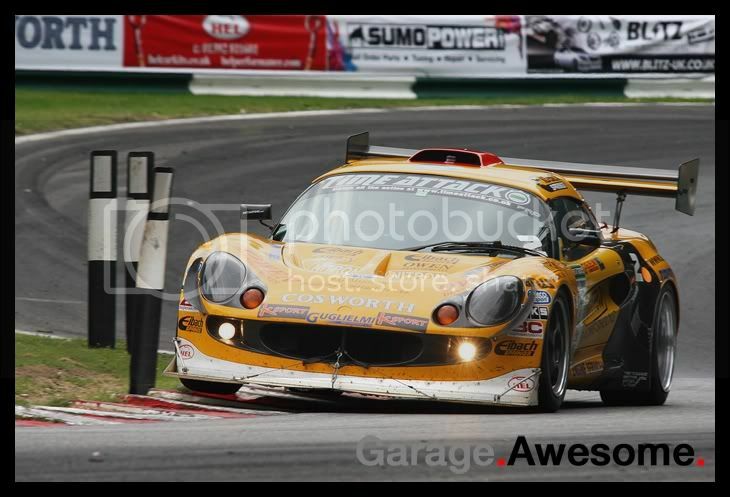 With some incredible machinery on display it was always going to be a tight affair, one that was eventually won by the ever rapid, flame-throwing Lotus Exige of Steve Guglielmi with a fastest lap time of 1:31.903 and an average speed just a fraction under 86mph… round Cadwell… now that’s shifting! Steve played it very clever and cool, doing just enough in all of the sessions before returning to the pit lane to keep an eye on others and go back out if his time was under threat, the closest man to threaten Steve’s blistering pace was seasoned Time Attack star Gareth Lloyd in his striking black and orange Mitsubishi Evo clocking a 1:32.255, just some 0.352 of a second off Guglielmi’s pace. Rounding out the podium places was the hard-charging, yellow Subaru Impreza of Gavin Renshaw and Lateral Performance. During the first couple of runs in the morning the car had developed some problems, but the Lateral team overcame them to clinch the 3rd place, and even more impressive gaining some real crowd pleasing air-time over the Mountain! 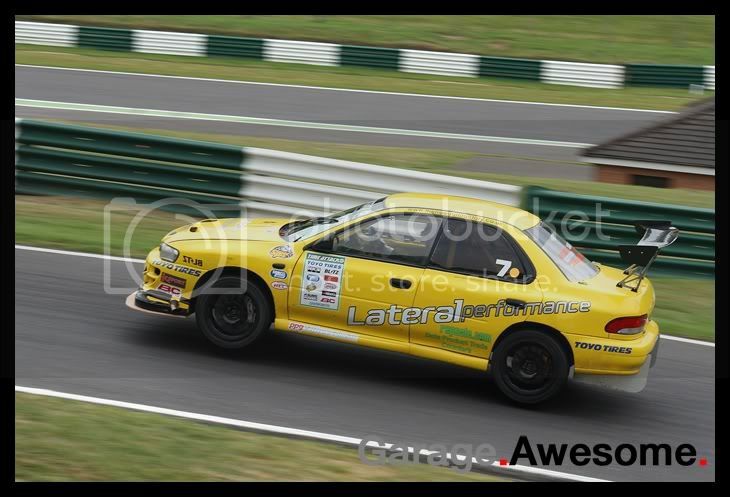 The Club Pro was just as tight; with the Impreza of Paul Doyle taking the points from Evo 9 driver Lee Broadhurst. This result makes Paul a real contender for the Club Pro title when the event hits Snetterton circuit on the 10th of October. As for the Pro’s, it’s down to the wire for Guglielmi and Lloyd to see who is going to be crowned overall Pro Class champion, and the King of Time Attack! Are we going? You bet, and should you if you cant make it. Are Garage Awesome going to be the first with our reports and pictures for you to see? Of Course! Keep your eyes peeled on Garage Awesome for the Club Challenge Class, The EDC and the Modified live show reports this week.